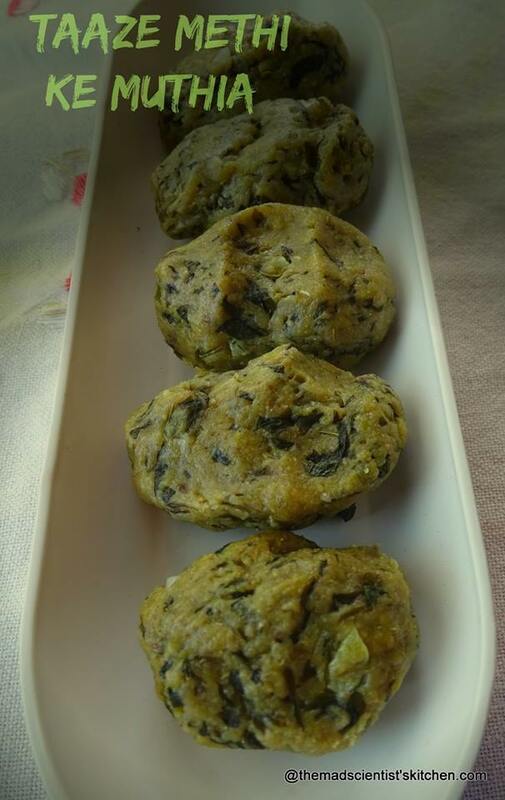 A muthia is a Gujarati dish where the dough is shaped by gripping it. Serve this vegan dish steamed or fried, as a side dish or as gravy and it’s yum. 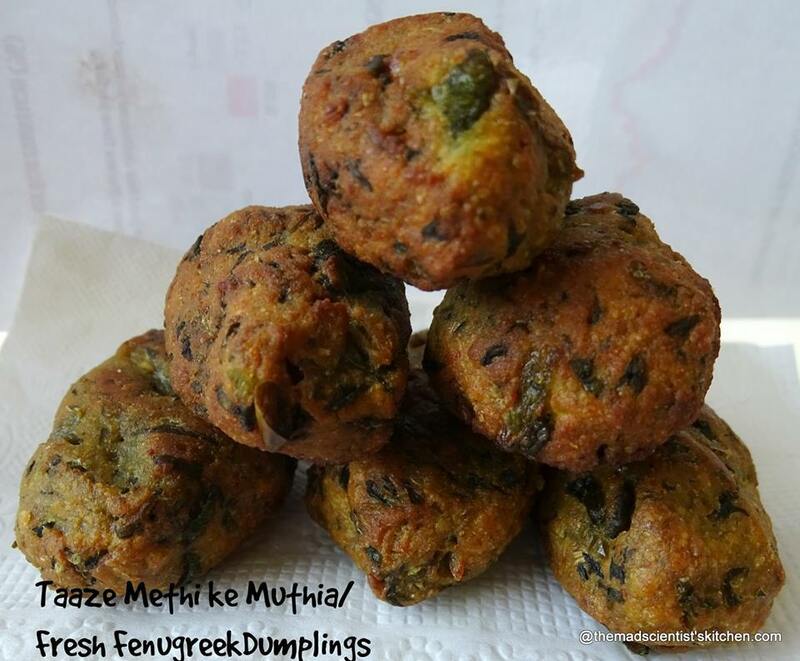 Muthia is Indian food stuff, Gujarati as we like to be region and cuisine specific. Muth in Hindi and Marathi means’ fist’ so muthia means fist or rather fisted. The muthia is made from dough that has been gripped. It is known as ‘vaataa’ in Charotar area located in Central Gujarat. Other varieties are made by using coarse flour of wheat and leafy vegetables such as amaranth, spinach, or grated bottle gourd. After steaming, they are tempered with sesame seeds and mustard seeds. I did not as they just disappeared. Serve with Green Chutney. A muthia is a Gujarati dish where the dough is shaped by gripping it. Serve this vegan dish steamed or fried, as a side dish or as gravy and it is yum. Rub all the methi with garlic, green chilli, salt, haldi, red chilli powder sugar (if using), and lemon juice say for about 5 minutes. Add the flours and mix well using water as needed. Knead to a stiff but pliable dough. Grease your hand with little oil. Make small balls of the dough and press them into your hands and make small cylinder shaped with pointed edges. You will get about 8-10 small muthias. Now you can either deep fry them or steam them. You can either deep fry or shallow fry them in medium hot oil till they are crispy and golden brown. Remove it to a paper towel-lined plate. To steam them you can use a steamer or like me use a pressure cooker and a steel colander. Apply a little oil to the base of the colander and arrange the muthias in it. Steam without the vent/weight for 20 minutes. Yummy looking muthiyas Archana. Fresh Methi adds so much flavor.